“I’ve got leftover tickets if you want them,” my boss said over her shoulder as she walked past my cubicle and into her office. I gave a noncommittal grunt and didn’t bother to glance up from the computer screen to which my eyes had been glued for the last half hour. I was working on a page for the company’s website along with two of the other interns and was keenly aware that I only had minutes to finish before our work day was done. The office fell quiet as we all became fully absorbed in the screen yet again. However, the silence was soon broken by the shrill squeak of an old swivel chair as one of the interns leaned forward to peer into our boss’s office. My boss shrugged and grabbed the stack to take a closer look. After (very enthusiastically) procuring the tickets, I called ahead to the theatre and was informed that it was advised that attendees of advanced viewings arrive an hour to an hour and a half early because oftentimes more tickets are distributed then there are seats. However, the man I spoke with suggested that I arrive at least two hours early because of the popularity of the film. When we finally arrived at the theatre (only an hour and a half early because I apparently have no talent for estimating how long it takes to drive through Charlotte in rush hour traffic), it seemed as though we would have no trouble finding a seat. From the outside, the theatre seemed quiet. After all, it was a Tuesday evening, and people would certainly be too busy to come, right? We took our place at the back of the line and waited for the slow march to the front. 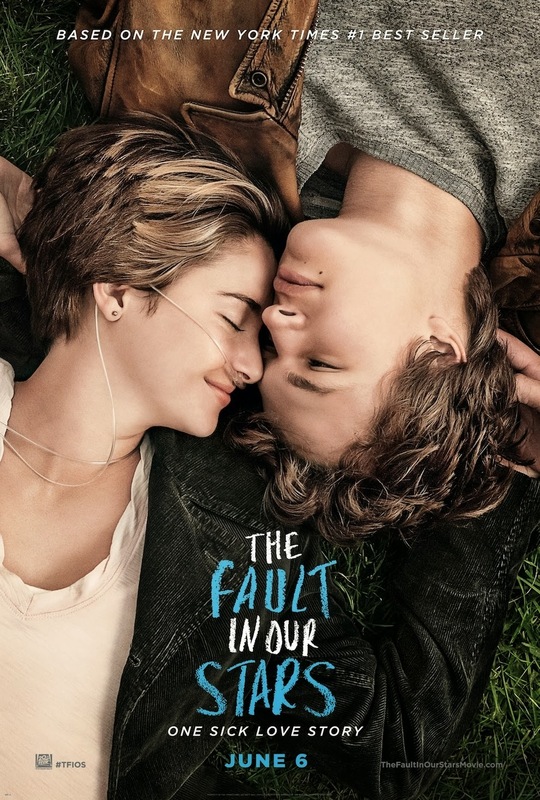 Because I am an incredibly emotional movie-watcher and because this was a film based on a John Green novel about teens with cancer, I brought two small packages of tissues with me. When I offered a pack to one of my friends, she rolled her eyes. She hadn’t read the book yet and was blissfully unaware of the tear-fest that was about to ensue. And I wasn’t alone—multiple people were walking into the theatre carrying actual boxes of tissues. Some had even decorated their tissue boxes with quotes from the book. “I just hope this is going to be enough,” one girl said, holding her box in the air. I gave a quick laugh before quickly grabbing a few napkins from the concession stand. Just in case. Because the showing was three days before the actual premiere of the movie, the theatre was on high alert when it came to people taking pictures of videos of the film. Before entering the theatre, we were asked to leave our phones in a large box outside. Two security guards stood outside the doors, making sure no one snuck one in. Before the movie started, an employee entered the theatre to announce that if one of the guards saw anyone using a phone during the film, the person would be escorted out of the theatre. These people meant business. I’ve long held that I could watch a word-for-word adaptation of my favorite books, even if it meant sitting in a theatre for eighteen hours. And while The Fault in Our Stars ran for a considerably shorter amount of time than that (it runs at 125 minutes), it is probably one of the best book-to-movie adaptions I’ve ever seen. Naturally, there were cuts made from the book in order to better suit the movie format, but I spent most of the movie marveling at how close each scene was to the actual book. The dialogue was oftentimes word-for-word and the set was spot on with what I had imagined while reading the book. And I know that some have been skeptical about the two leads, but let me assure you, they are FANTASTIC. I’ll be the first to admit that I was less than thrilled when it was announced that Shailene Woodley would be taking on the role of Hazel, the main character. I was skeptical because of her five season stint on The Secret Life of the American Teenager. But after seeing her performance in The Descendants alongside George Clooney and more recently as the lead in Divergent, I was totally pumped to see Woodley in action. And she did not disappoint. In fact, the whole cast was able to bring about that perfect balance of sass, pretension (I say that with love), and heartbreak that has become John Green’s signature. While the characters do tend to be a little more highbrow than your average teen, it’s more funny than condescending. The two leads, Hazel Grace and Augustus (the latter being played by Ansel Elgort), are unapologetically witty and charming. Perhaps Woodley and Elgort aren’t what we all had in mind when we read the novel, but now that I’ve seen them in action, I cannot imagine anyone else in their roles. About halfway through the film, I felt a tap on my arm. I looked over to see my friend (who had previously scoffed at the idea of crying during the film) quietly sobbing and reaching for my pack of tissues. And she wasn’t alone. My other friend and I were both struggling to hold back sobs (and I mean FULL-ON sobs) while others in the theatre cried freely and loudly throughout. I don’t feel as if I’m giving anything away by saying that this is obviously a tear-jerker. After all, it’s a love story about two teens, one of whom has terminal cancer at the beginning of the story. From the moment the movie begins, we all know where it’s headed. I have a feeling that one of the biggest complaints about the film will be how it “exploited people’s emotions” and was made solely to make us cry. However, I reject that notion. Yes, it’s about cancer; and yes, it’s sad; and YES I CRIED MY EYES OUT. But it’s about more than that. The Fault in Our Stars is first and foremost a love story, and a beautifully crafted one at that. I think what makes story resonate with so many people is the fact that it allows us to cry and grieve but also to laugh and to realize how blessed we are, even when the situation seems dire. The movie captures all of the awkwardness of young love and the ugliness of cancer—for its victims and their families. The one aspect that I was most nervous about seeing translated onto the screen was Hazel’s relationship with her parents (played by Laura Dern and Sam Trammell). 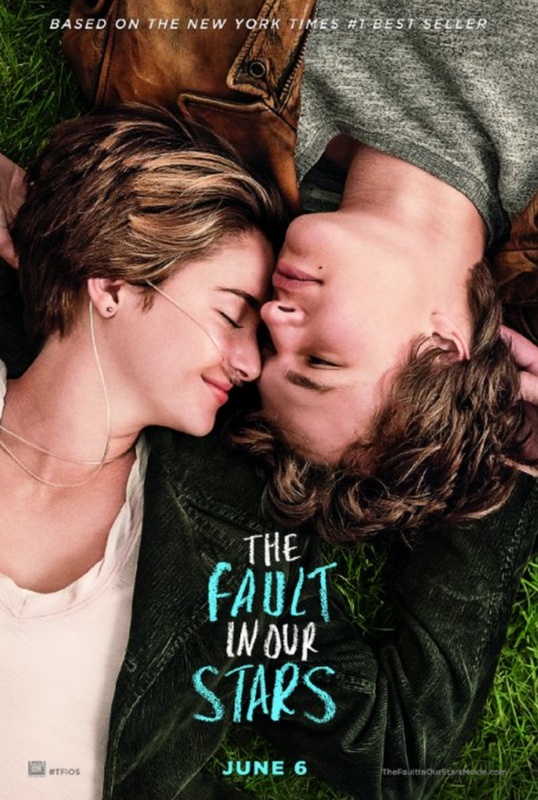 The movie, like the book, is able to illustrate the weight of Hazel’s sickness, not only on her relationship with Augustus, but also with her family. As Hazel says in the beginning of the film, “There is only one thing in this world shittier than biting it from cancer when you’re sixteen, and that’s having a kid who bites it from cancer.” Dern and Trammell did an amazing job of portraying parents juggling the fact that they want their child to be independent, but not alone. Hopeful, but not unrealistic about her state. The best scenes are the ones where the character’s glossy and pleasant exteriors are stripped away to show their vulnerability. Not only are these the prime crying scenes, but they’re also the ones where we are best able to see just how talented the cast is. When the end credits began to roll, everyone sat silently for a moment or two, taking it all in. My eyes were red and puffy, hidden only by the dim lighting of the theatre. I suppose if I were to watch the film again, I would find some major flaws—but I doubt it. The fact of that matter is that if you loved the book (like I did), you will probably love the movie. And if you disliked the book, chances are this movie isn’t for you. We can be upset that they cut out the storyline about Gus’s ex-girlfriend, switched around a few details in order to make the movie more concise, and did not include the infamous line “Hump the moist cave wall.” (Actually, I was a bit bummed about that last one). But more important than those small details is the fact that this movie perfectly encapsulates the essence of the novel and while it may have sacrificed some small scenes, it never sacrifices its integrity or charm. All in all, this was a well-made movie that I’m sure will satisfy both fans of the book and newcomers alike. I encourage everyone to go on and pre-order their tickets for Friday’s premiere and to get their tissues handy.